Drone video provides views of record-breaking pool that fully captures its grandeur. 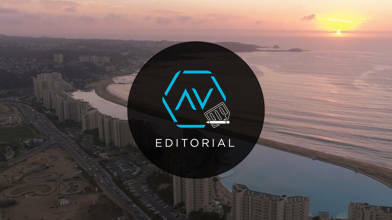 Austin, Texas based aerial videography company, Volare, took to the sky above the pool in Algarrobo, Chile. San Alfonso del Mar resort contains a salt water pool that was completed in December 2006. The pool is 3,324 feet long and covers over 19 acres. It took 5 years to plan and build and cost nearly $1.5 billion. It covers more than 19 acres and holds about 66 million gallons of water. Approximately $4 million dollars per year is spent to maintain the pool. The pool is so large that guests are able to sail, kayak, and stand up paddleboard in it. San Alfonso del Mar smashes the previous world record held by the 8.9 acre “Big Splash” Orthlieb Pool in Casablanca, Morocco.